Audi joins the e-volution with e-tron. The new Quattro? Talked about for some time, the Audi e-tron is finally actually available to buy in the UK from today. Available to order in two trims – e-tron and e-tron Launch Edition, neither are what could be called cheap, at £71,490 OTR and £82,240 OTR respectively. However, this is not unreasonable when compared to what else is on offer. 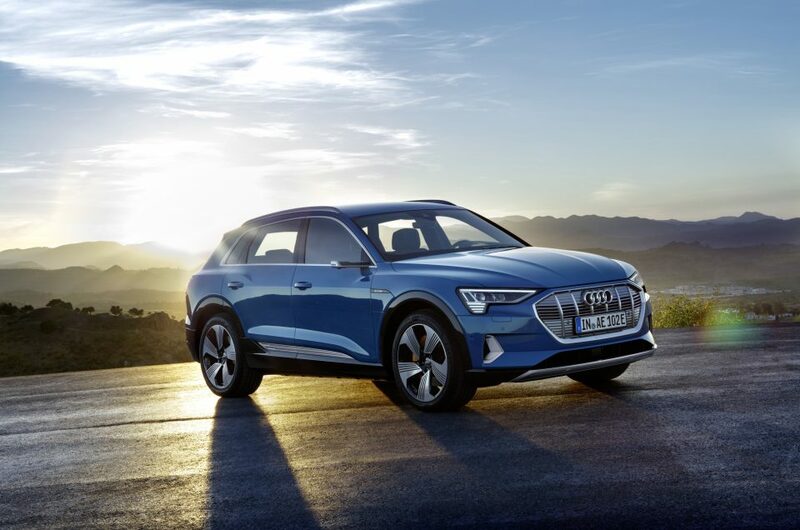 Its like no other Audi before it in terms of technology, but Audi have chosen to stick with a familiarity to its look, feel and functionality that will ensure Audi drivers can become quickly attuned to it, the new five-seat SUV blazes a trail that will be followed by at least 11 more fully electric Audi models between now and 2025. A 95kWh battery mounted beneath the passenger compartment powers two electric motors – one per axle – which jointly deliver an output of up to 300kW, offering a 0-62 sprint in 5.7-seconds, a top speed of 124mph and a claimed driving range of up to 241 miles. Standard adaptive air suspension ensures that travel is as smooth as it is near-silent, and the two motors are able to deliver variable power to each axle for optimal control and composure, effectively taking the quattro all-wheel-drive principle into the electric age. 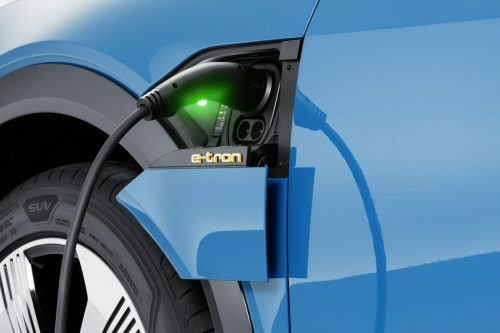 Charging the e-tron is simple, via the ports positioned conveniently on each of its front wings allowing fast charging to 80% of capacity in as little as 30 minutes. Technology not surprisingly takes centre stage throughout – a touch response system is naturally the advanced operating system at the heart of this car. Haptic feedback and voice control enhance its functionality, and it complements the fully digital instruments in the binnacle that form part of the standard Audi Virtual Cockpit. In the Launch Edition this incorporates two supplementary ‘e-tron’ and ‘Sport’ layouts offering additional functionality. Visuals specific to the Launch Edition include a black styling pack taking in the grille surround and window cappings and privacy glass extending from the B-pillar rearwards. Inside, the e-tron’s Twin Leather upholstery is replaced by premium grade Valcona hide, and features such as a panoramic glass sunroof, electric steering wheel adjustment and a comfort remote preconditioning system further enhance life on board. The latter enables the driver to remotely activate the cabin air conditioning to pre-heat or pre-cool the cabin via the MMI or the free myAudi smartphone app. Seat heating and ventilation, steering wheel heating (if fitted) and window heating can also be switched on in this way well before a journey begins. Get your tickets to The London Motor & tech Show now to see the latest models from Audi in the flesh.